The election of Bulgaria's new Orthodox patriarch reached a stalemate on Saturday, with the Holy Synod reportedly being unable to pick two of the three candidates for the job. 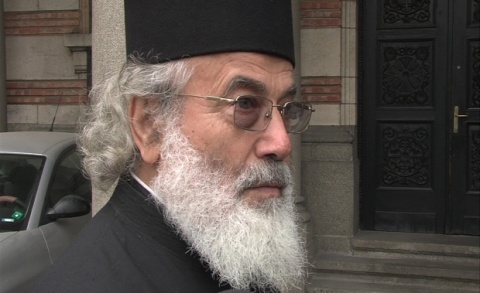 On Friday, Stara Zagora bishop Galaktion became the first candidate named by the Holy Synod. He is still the only patriarch hopeful to have gathered 10 Holy Synod votes, a necessary requirement for reaching the final stage of the election. Ruse bishop Neofit and Lovech bishop Gavriil are currently stuck at 9 votes each, with no Holy Synod members appearing likely to change their minds, Joseph, the Metropolitan of America, Canada and Australia, told reporters. The deadline for naming the remaining two candidates expires at midnight. "If we do not succeed by midnight, we do not know what is going to happen next," Yosif said, as cited by Dnevnik.bg. The new Bulgarian patriarch will be chosen at a national church council the following Sunday, February 24. The Bulgarian Orthodox Church was rattled by a scandal last year, when 11 out of a total of 15 Metropolitan bishops were exposed as former agents of the country's notorious Communist State Security.